Why Buy From Kia of Dayton? Choose from our wide selection of vehicles new and used! When you visit Kia of Dayton you will experience the world class service of a knowledgeable and experienced staff. We are committed to your satisfaction and strive to exceed our customers’ expectations. We are the greater Dayton Kia dealer with the inventory and price to get you into your dream car today. We’ve served hundreds of customers from Huber Heights, Troy, OH, Springfield, OH and Kettering. Set up a test drive by contacting our friendly sales staff or submitting a short form on our inventory details pages. Imagine driving a stylish and sporty Kia in Huber Heights by this afternoon! Kia of Dayton has the inventory to get you on the road and into the perfect vehicle. Our Kia dealership is stocked with all of the latest new Kia models including vehicles like the iconic Kia Optima, exciting Kia Soul, adventurous Kia Sportage, and many more.Get a great deal on a Kia in Huber Heights by calling or visiting Kia of Dayton in person. We have served many customers from Dayton, OH, Springfield, OH and Kettering. For a high-quality used cars near the Huber Heights region, Kia of Dayton has a large selection of cars trucks and SUVs to choose from and an exceptional sales team to answer all of your questions. Looking for a car loan in Huber Heights? Come speak to the experts at Kia of Dayton. By working with lenders and understanding your needs, we can create customized loan and lease programs suited to your situation. Our finance department can adjust variables to make sure your loan will fit your lifestyle. The term can be extended to lower monthly payments, or you can pay a little more to shorten the duration of your loan. Call us or stop by to speak to a financial representative. 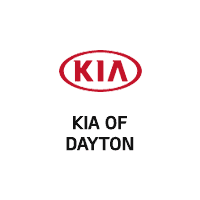 Get Kia car repair and auto parts from the folks you can trust at Kia of Dayton. There’s a reason why we are a preferred destination for repairs and service for so many around Huber Heights. It’s because of our superior service, trained mechanics and access to original Kia car parts? We also have a state of the art auto body shop in Huber Heights to keep your car looking new. Visit us at 8560 Old Troy Pike and join the thousands who already rely on us for their automotive needs. Read about us, visit our dealership at 8560 Old Troy Pike, or give us a call at 937-500-5461. Our team is available to answer your automotive questions. Thanks for visiting our site, and we hope to see you at our Huber Heights car dealership soon! We are just a short drive from Dayton, OH, Springfield, OH and Kettering.